You can opt to have sales tax applied to any Store order. Tax rates will be applied based on the shipping address of the order. 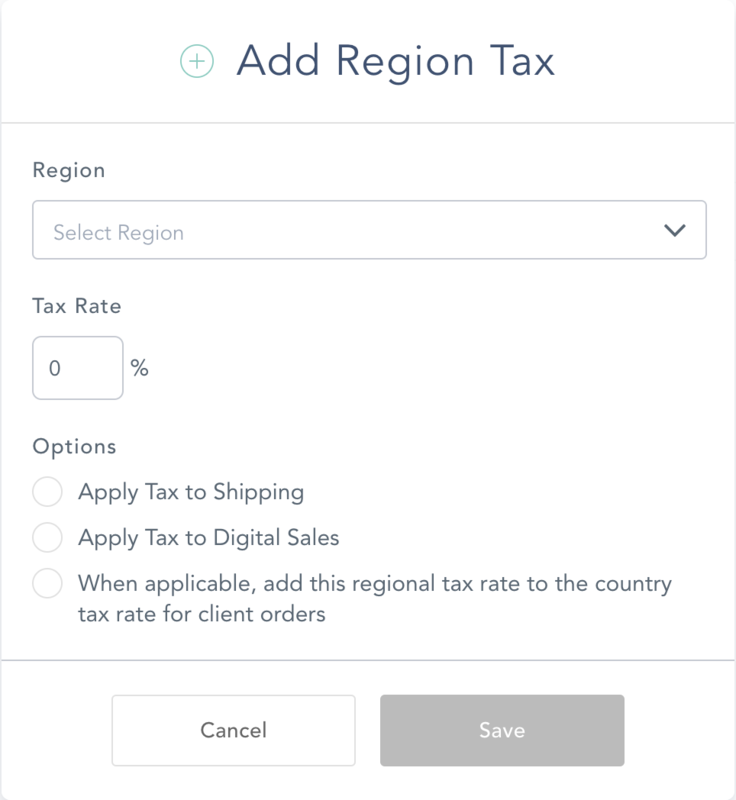 You have the ability to set rates for both a Country and Region. 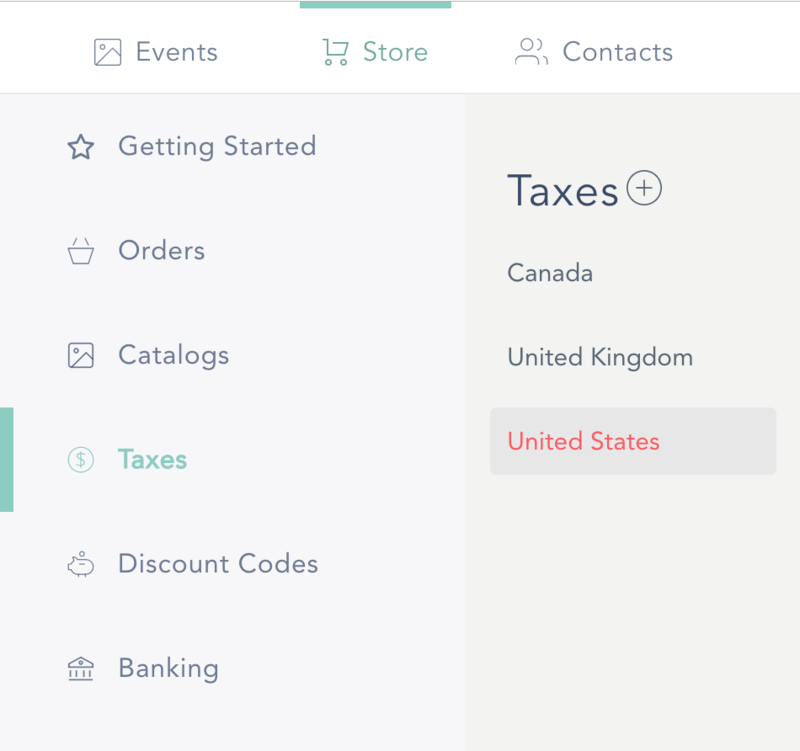 You must set up a catalog before the Taxes option is available. For example, United States (Country) and California (Region) can have different tax rates. After adding a Country, click the "Add Region" if desired. Choose Region and how you would like the tax applied.